Otto Warmbier was detained in January 2016 and was accused of specifically, stealing a political poster from his hotel as a "trophy". Washington, United States: The parents of Otto Warmbier, the US student jailed by North Korea before being sent home in a coma where he died days later, sued the Pyongyang regime Thursday for the alleged torture and murder of their son. Cindy and Fred Warmbier said in the civil suit filed at Washington District Court that their son was imprisoned by North Korea after being forced to confess to stealing a poster while he was on a tourist visit in early February 2016. "North Korea, which is a rogue regime, took Otto hostage for its own wrongful ends, and brutally tortured and murdered him," they said in the suit. Their action comes at a sensitive time as US officials prepare for a summit between US President Donald Trump and North Korean leader Kim Jong Un. Trump has demanded that North Korea give up its nuclear weapons. After having repeatedly castigated Pyongyang last year over Warmbier's death, earlier this week Trump praised Kim as "very honorable" and "very open." Earlier this year, however, Warmbier's parents attended Trump's first State of the Union address where he heralded them as "powerful witnesses to a menace that threatens our world." 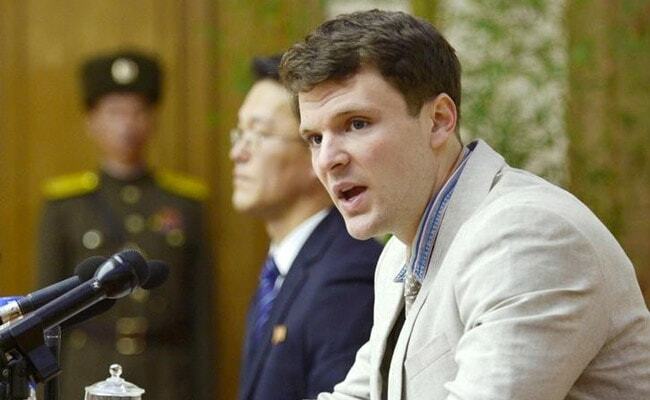 The lawsuit says Warmbier, a University of Virginia student, was on an innocent five-day trip to North Korea in December 2015 at the time that the US announced new sanctions against Kim's regime over its nuclear weapons proliferation activities. Warmbier was detained on January 2, 2016 as his tour group was departing, accused of hostile acts against the country as an agent of the US government -- specifically, stealing a political poster from his hotel as a "trophy". Forced to make what his parents said was a "false confession", he was sentenced to 15 years' hard labor. After lengthy negotiations, he was returned to the United States on June 13, 2017, comatose. The North Koreans blamed his condition on medicine they said he took for botulism. Told by doctors he would never recover, the parents agreed to remove him from life support and he died six days later, age 22. The suit tied his detention and mistreatment to the escalating tensions between the two countries over North Korea's test of nuclear weapons and ballistic missiles at the time. "In an attempt to extract various concessions from the United States government, North Korea detained Otto, forced him to falsely 'confess' to an act of subversion on behalf of the United States government, tortured him, kept him in detention for a year and a half without allowing him to communicate with his family, and returned him to them in a non-responsive state and brain dead." The suit asks for unstated damages as well as punitive fines.